Choosing us as a supplier, ~ you gain a reliable partner! 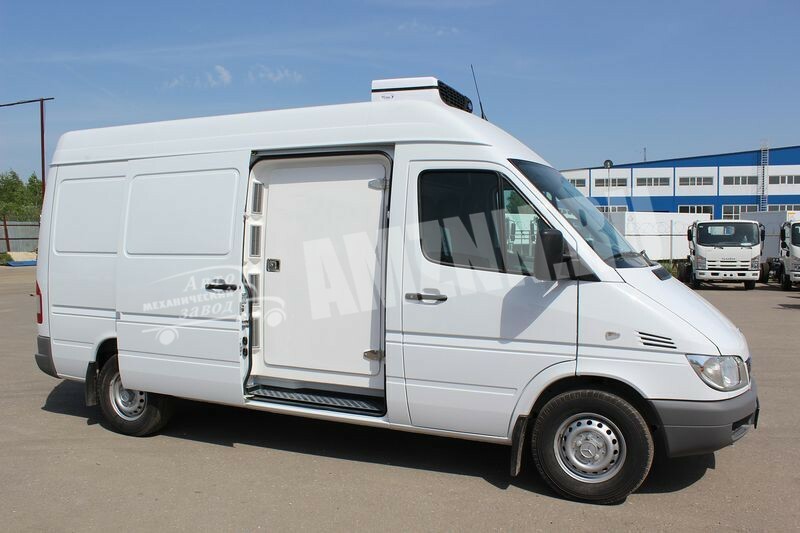 One of the new lines of development of the Automechanical Plant LLC is the conversion of all-metal vans into insulated vans and their further sale. 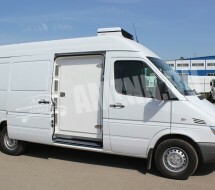 Insulated all-metal vans are designed for the transportation of cargo under special temperature conditions. 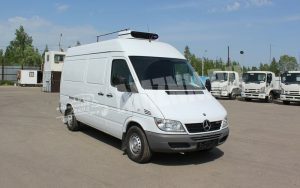 The cargo compartment of the vehicle is insulated with the usage of heat-retention panels repeating curvilinear sides of the van that permits to use efficiently the internal space of the body enlarging the maximum volume of the freight compartment. The heat-retention panels are made of fiberglass reinforced (impact-resistant) plastics covered on the front side by matt-gloss layer of gelcoat (that doesn’t turn yellow for aging) and of a layer of heat-insulation material — polyurethane foam – 65mm thick at the backside. The design of the panels allows to fix them inside the cargo compartment at thrust without any metal fittings thus without any thermal bridge. A standard side sliding door is left in a working mode, in addition to it we mount a supplementary 75-mm side insulated door with its own curvilinear aperture. 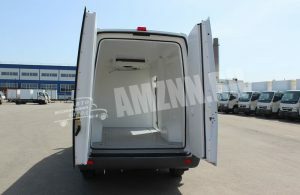 Rear doors are insulated via straps repeating the door geometry with a recess for internal handle access and a brand cover for this recessed handle. There is no vertical chink between the doors, it is tightened by a special shape of the left strap with an additional element, a so-called cover strip, that allows to use door soft sealing. Along the perimeter the rear door straps via the soft sealing adjoin the recess of the side and roof panels forming a sealed rear portal. The portal is made of elements giving access to service the rear lights, which in combination eliminates leakage through the rear doors. The roof panel together with side and front panels are connected via rather complicated inner profiled locks instead of gluing using assembly foam. The geometry of the roof panels efficiently prevents upper corners frost penetration. There is also a predisposed recess for the mounting of an evaporator and a dome light. The floor panel is a solid part made of a sandwich panel with a reinforced construction, it is provided with a groove and a drainhole for melting products discharge. The floor panel is also finished with an efficient antiskid covering, a 65-100 mm polyurethane foam heat insulation layer with vertical stiffeners, for reinforcement – a layer of bakelite plywood, 20mm thick, and as a finishing layer –a high resistant fiberglass plastics (the same as used for high-speed yacht body production), 6-8mm thick. Thanks to it a high rigidity and wear resistance of the floor is guaranteed. 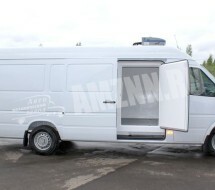 The geometry of the side portal has also recesses for air grids for an efficient withdrawal of compressed air whilst slider closure, besides there are provided body contiguity flanges along the perimeter of the van as well as on the footboard niche. 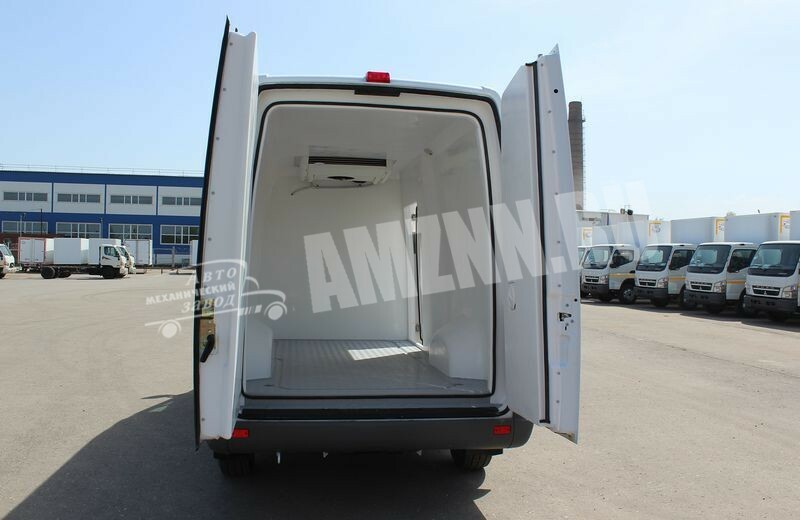 The thermal insulation of the cargo compartment is fulfilled in such a way that there are no junctions between the conjugated surfaces, all the joints are molded by the same high resistant fiberglass plastics so that the cargo compartment turns to be a completely heat insulated capsule. 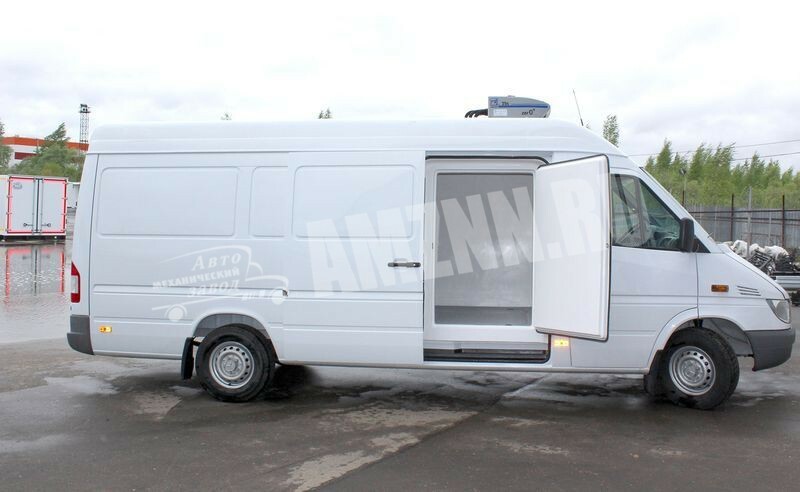 Upon changing of the specialty of the van all the thermal resistant panels may be demounted without violation of the integrity of the panels and the van body. 2. We utilize only polyurethane foam for heat insulation that guarantees an utmost repeating of the body line. — it does not crumble. 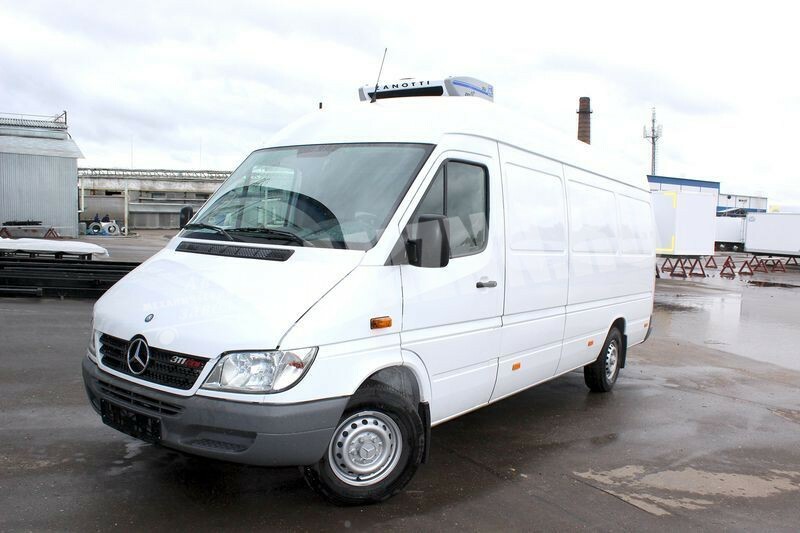 — it increases considerably the useful volume of the van. — there are special openings for rear lights access. 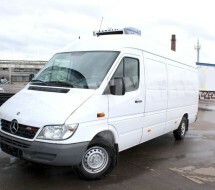 All vans are delivered with a full package of documents for registration with the authorities. © 2011-2019 Automechanical Plant LLC.